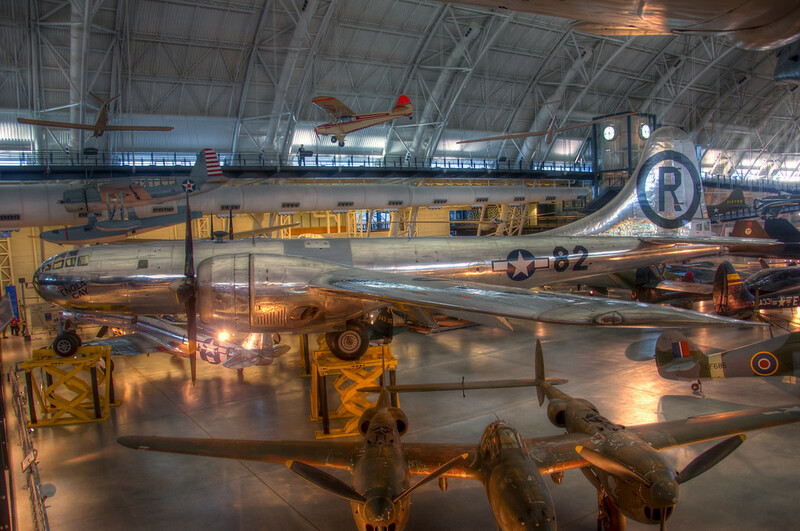 82: The Enola Gay | Just Shooting Memories! Probably my third favorite plane at the Udvar Hazy building was the Enola Gay. This is one of the planes that helped end World War 2 in the Pacific Theater. Unfortunately, this plane carried more destruction in its belly than most other war planes carry in their entire existence. Knowing what it did just makes being in its shadow that much more awe inspiring.